Time until The Legend Of Zelda: Breath of the Wild - Limited Edition release day! Forget everything you know about The Legend of Zelda games. Step into a world of discovery, exploration and adventure in The Legend of Zelda: Breath of the Wild, a boundary-breaking game in the acclaimed series. 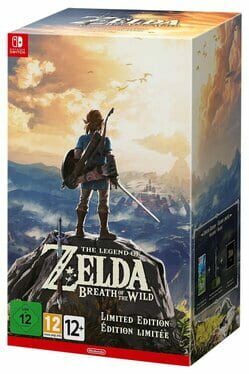 The limited edition contains the game (Nintendo Switch version), The Legend of Zelda: Breath of the Wild Sound Selection CD and a Master Sword of Resurrection figurine.